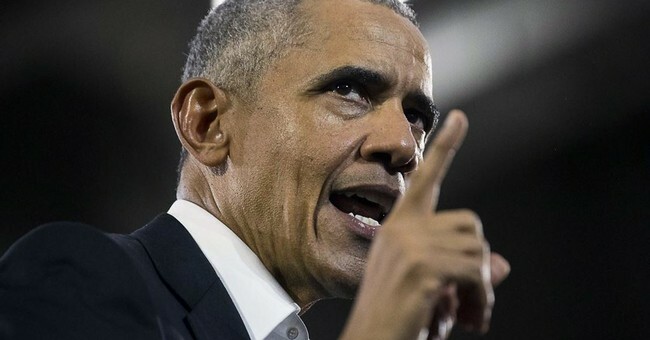 "And so some of the assimilation that inevitably takes place is gonna take a little bit longer, but some of those principles still apply, and I worry sometimes as we think about how to deal with the immigration issue we think that any moves towards assimilation of newcomers to the existing culture is somehow betrayal or a denial of people’s heritage or what have you," Obama told the audience. "The truth of the matter is that if you’re going to have a coherent, cohesive society then everybody has to have some agreed upon rules, and there’s gonna have to be some accommodations that everybody makes, and that includes the people who are newcomers." What's interesting is Obama said something many people have said for years: assimilation doesn't mean losing who you are, where you came from or the culture you grew up with. It means having respect for the nation you're coming to and the people who are born, raised and currently reside there. "The question is, are those fair? Should we want to encourage newcomers to learn the language of the country they’re moving to? Of course. Does that mean they can never use their own language. No," Obama said. "Of course it doesn’t mean that, but it’s not racist to say if you’re gonna be here then you should learn the language of the country you just arrived at, because we need to have some sort of common language in which all of us can work and learn and understand each other." I never thought I'd see the day where I agreed with Obama on anything, but he actually hit the nail on the head with this one. If people want to come to our nation, fine. Do it legally. But also know that you need to learn English. Yes, America is a melting pot. Yes, we all come from other nations and backgrounds. But we should all be able to communicate with one another. We can't be a society who values the same things and the same morals if we can't even speak to one another. The fact of the matter is assimilation brings all of us together. It creates a more wholesome society. And it allows us to work out our problems and understand one another. That can't take place if we can't (literally) understand one another. Should there be an age limit on how old a candidate for the presidency can be? Copyright 2019 ElectionNewsChannel.com by IV Media LLC. All rights reserved.